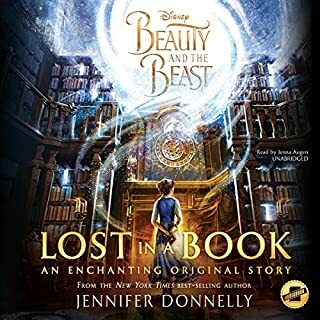 This book had a decent plot and would have been a good story on it’s own, but using the characters from Beauty and the Beast ruined it for me. There were contradictions to the story we know and love and Belle was extremely hard to like. In the Disney movies Belle is intelligent, kind, patient, and strong. The Belle in this book is self centered, gullible, and at times plain annoying. Most of the story revolves around her wallowing in self pity. I love Disney’s versions of Beauty and the Beast and was excited for this book, unfortunately for me it fell flat.